This course highlights the advantages of using technology as both a resource and a tool for educators in their classrooms. The class helps teachers enable safe implementation of technology in classrooms and prevent misuse while promoting effective learning through practical ideas and steps that educators and students can take to ensure safety when online. Teachers learn to navigate tools, techniques and resources to advance skills in using technology in a way that promotes learning without being a distraction. Plan implementation of technology in the classroom. Distinguish between concepts of digital literacy, informational literacy, visual literacy, global literacy and network literacy. I enjoyed the course and will continue to take classes that keep me up to date as technology changes. Perhaps about half of this content was new to me. While that may not seem like a lot, what was great about this class is it opened my perspective on new ways to use the technology I've been using. Made me start thinking. Learned a lot, and on my own time. I loved the content. Thank you. It was time well spent! Thank you! Another great course! Thank you for offering this online option. 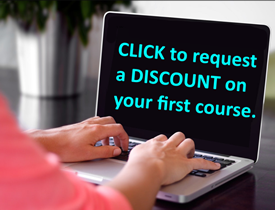 Great online course. Very informative especially on safety precautions for our students; thanks for the additional website resources too! I thought the course gave a solid introduction to tech in the classroom. I enjoyed creating a course action plan that I will implement in my class. I liked that the course was self-paced and easy to follow. Thank you very much. Lots of great ideas for how to incorporate tech into class lessons! I had never thought of using some of the tools talked about in this course but I'm excited to try some out! Thank you, I really enjoyed the course and my experience with PLB. I will be taking additional classes. I was very impressed with the course offerings and the responsiveness of tech support. I would highly recommend your organization for anyone needing to complete professional development, and will use your services in the future.